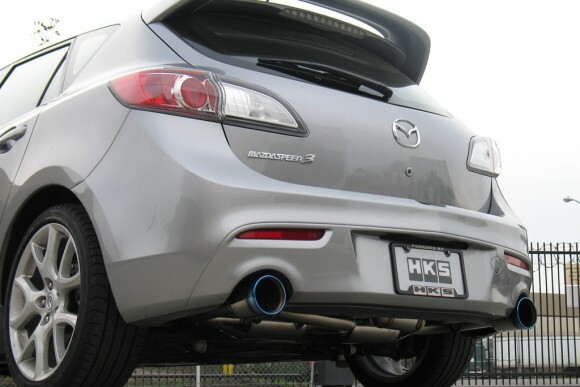 The 2010 Mazdaspeed 3 gets a slew of new performance parts from import tuning giant HKS! Legamax Premium Exhaust – features SUS304, 2-piece construction, with external sound resonator. Racing Suction Reloaded Kit – 200mm element w/ 80mm inlet. Hipermax V-Sport – featuring 30-way adjustable dampers, 4kg/mm spring rate F and R.